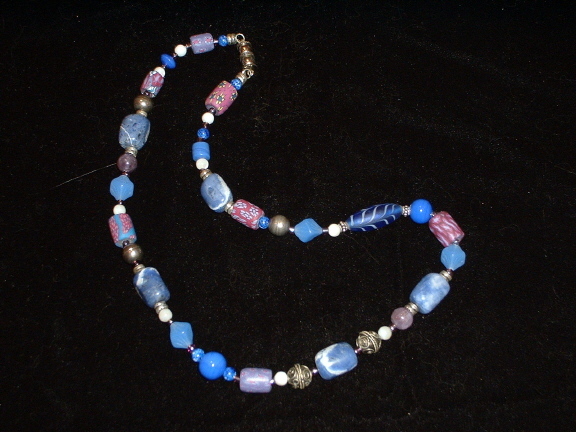 Necklace combines patterned blue agate with polymer patterned beads, bali silver and glass in various shades of blue and mauve. Fabulous with denim, or add a creative touch to a classic suit. SOLD. Contact Bonnie Mincu about creating a similar necklace for you.